Not sure how goal-setting can help you and your career? As an example, "In the Yale Business School class of 1953, 3% of the graduating students wrote down clear goals. Twenty years later, those 3% had a greater combined net worth than the other 97%." That's scary for non goal-setters. 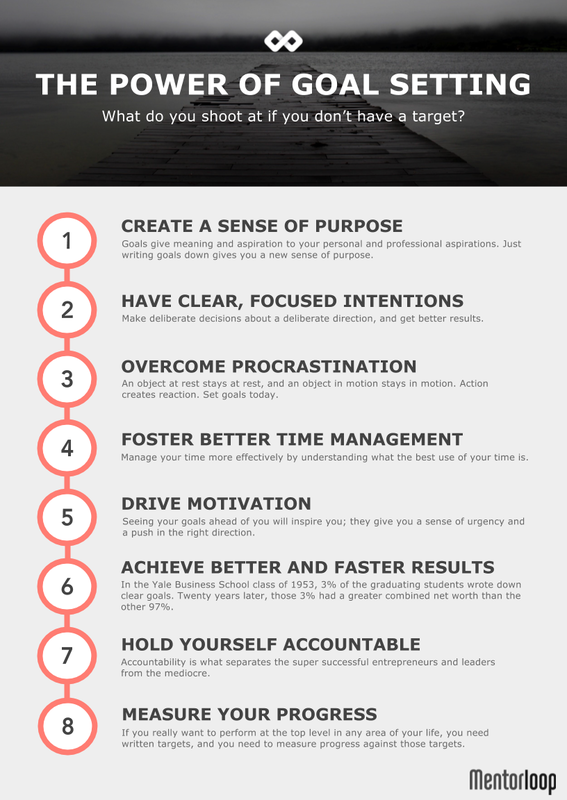 Check out or download the power of goal-setting one-sheet below to get to grips with just how helpful goal-setting can be for you. I hope this gives you that necessary push to begin goal-setting - you won't regret it.